Today it rained from morning and weather forecast said the rain would become heavier. I once wore my rain wares from head to foot and left the inn. 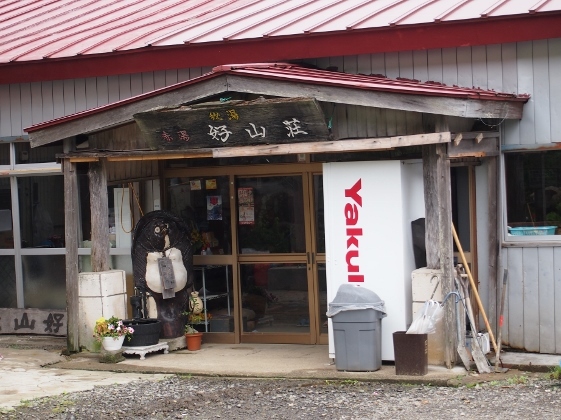 I visited Akayu Onsen first which was 1km away to deposit my backpack. They not only received my backpack but also said that my room was ready, thus I went to my room. My original plan was to make 4th visit to Jododaira, however, since the rain seemed to keep going I decided to stay. 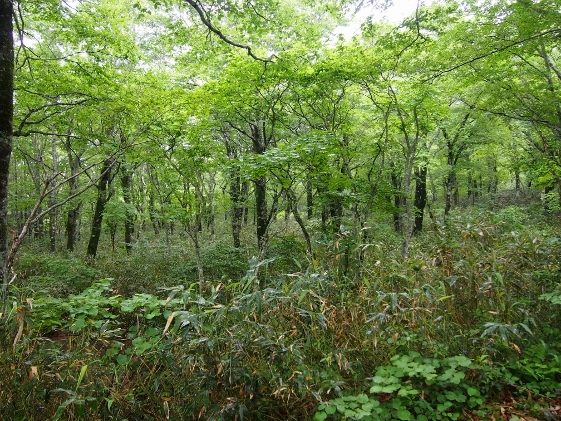 Since there was beech wood close to the inn called “Bunakkomichi” which meant promenade of beech wood as shown in the pictures above, I walked into it for a while. In spite of the rain, air inside was very fresh and comfortable maybe due to high minus ion rate. And since beech trees made ground absorb water there was no water puddle which made it easy to walk. However, I could find no flower here in this season. 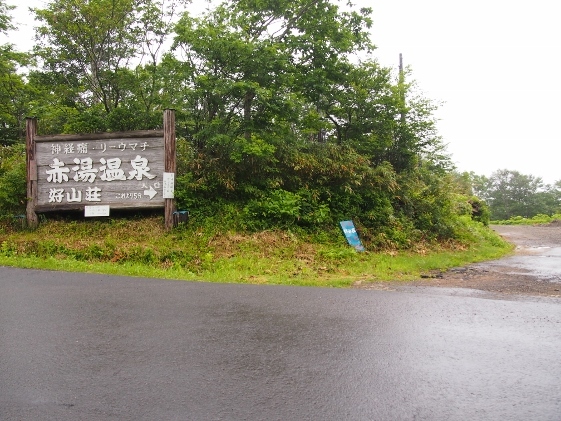 The picture above shows the guide sign on the road followed by unpaved gravel road of about 5 minutes of walk to the inn. I walked with my bike. 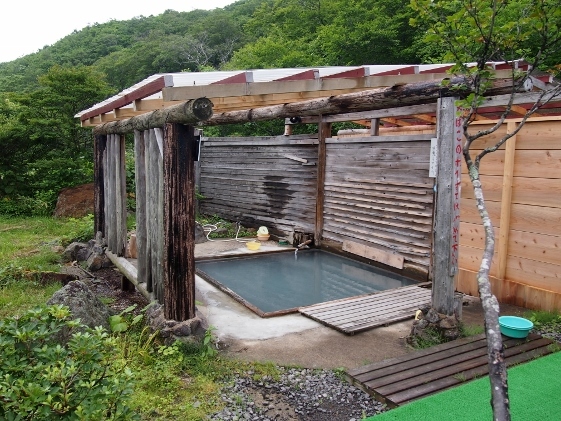 This inn had two hot spring sources each of which came out naturally by itself. 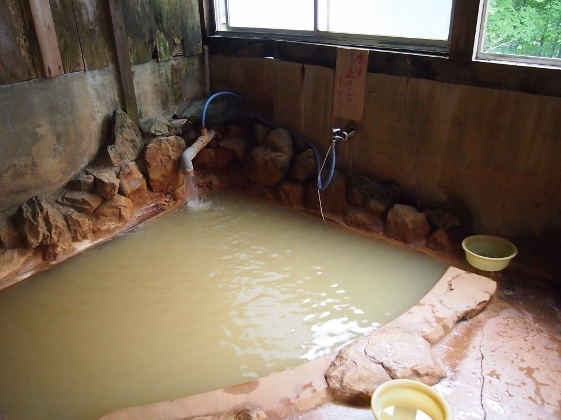 One was called Akayu (red spring) which was simple spring of 66 degrees Celsius and which was used for indoor bath. The other was called Shiroyu (white spring) which was sulfur spring of 49 degrees Celsius and which was used for open air bath as shown in the pictures above. Shiroyu required no water to cool down thus it was exactly the same as hot spring source. And the open air bath was handmade. 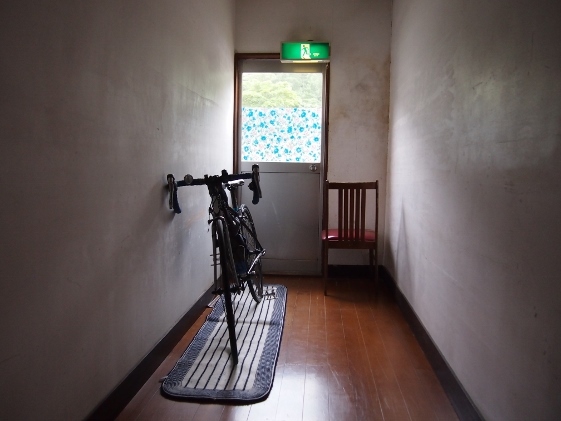 They kindly let my bike stay in the house as shown in the picture above and placed it on corridor close to my room. 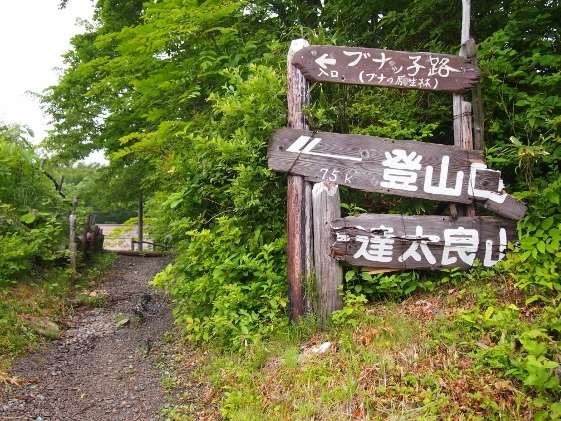 I stayed at four hot spring inns at Tsuchiyu Pass. Those were Shinnoji, Noji, Washikura, and Akayu Onsen. Those were located in close area within 2km on the height of 1200m. Each of them had different spring sources of their own which came out naturally. Most of them were sulfur springs. 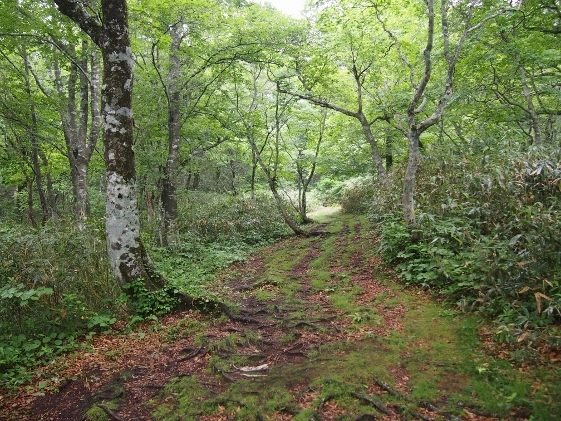 Although this area was covered by Fukushima City they could receive TV only from Miyagi Pref. No other shop and private house existed around here. Thus those were really secluded hot spring inns. Since 3G mobile service of NTT DoCoMo did not cover Akayu Onsen area, I had to upload my blog of July 5 a day after. 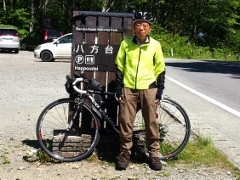 Tomorrow I will pedal from Tsuchiyu Pass to Koriyama City via Inawashiro route. And then I will pack my bike and return home by train thus this is the last report for this July. P.S. I took a picture of Mt. Bandaisan on the way to Koriyama as shown above. Fortunately I could make 8 Fukushima bike tours (up to 3655km) safe so far. For reference my ten rules for my bike safety are shown below.